Air Canada and El Al fly direct from Toronto to Tel Aviv. Another option is to stopover in a European city en route, via Turkish Airlines (Istanbul), Alitalia (Rome), Air France (Paris), British Airways (London), or Iberia (Madrid). 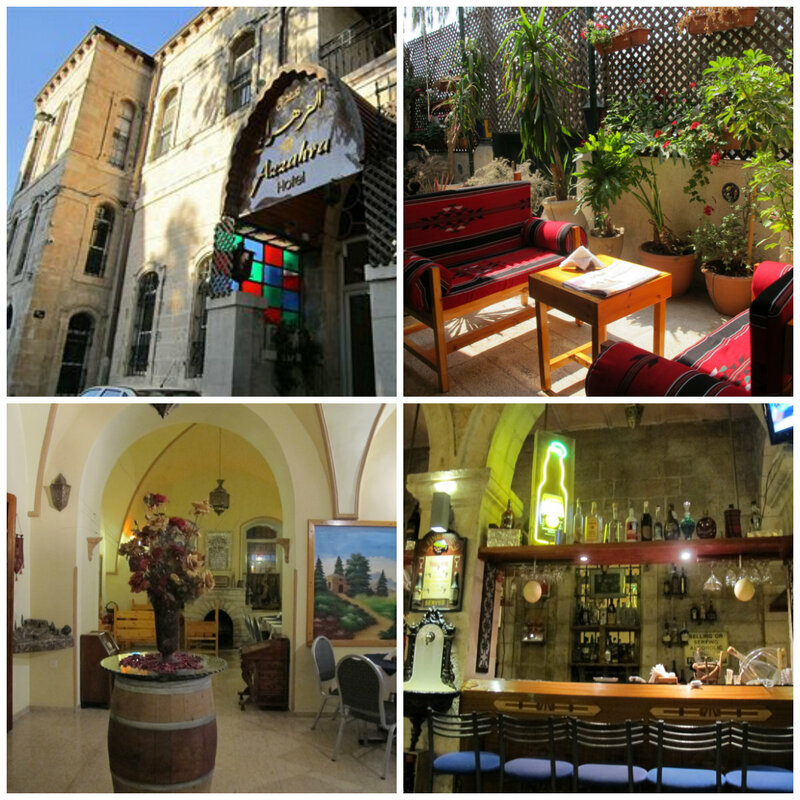 Azzahra Hotel & Restaurant (East Jerusalem) - This hidden gem is getting rave reviews from savvy travellers. Sitting on the edge of the Old City, the Azzahra Hotel (above) has spartan but squeaky clean rooms – all equipped with comfy beds, mini-bars, air con, and free wifi. Hallways are lovingly adorned with traditional decor, and the restaurant serves some of the best Palestinian cuisine in the city. It’s also close to historic sites, museums, shops, and food stands. Above all, staff will bend over backwards to help you. When I was lost at night, the hotel staff picked me up free of charge (!). For $110/night, this boutique hotel gets top marks for hospitality, location, and comfort. Wanna splurge on your stay? 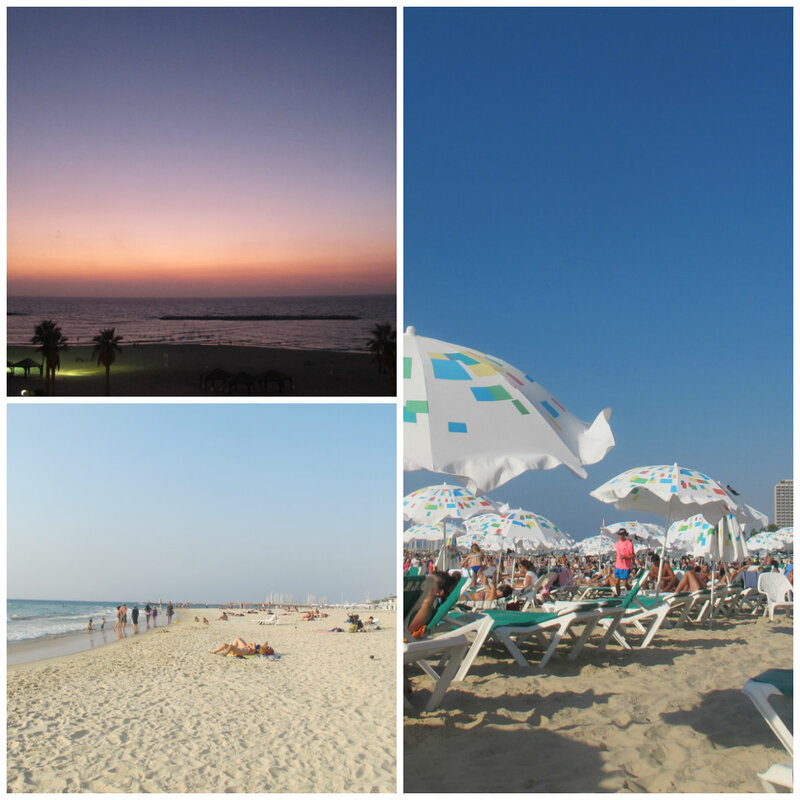 Check out our experience at the American Colony Hotel and the Sheraton Tel Aviv. Float in the Dead Sea - Relax at a spa that’s 394.6 metres below sea level – the lowest point in the world. The Dead Sea is also incredibly salty, making it near impossible to sink in the waters. Then, cover your body with dark mud – it stings, but it’s renowned for its many minerals and health benefits. Some visitors even bring Tupperware and load up for spa treatments at home. Learn About Politics and Peace Efforts - There’s a lot of talk about conflict in the Middle East, but you can experience the political reality on the ground with Green Olive Tours. Day trips include visits to religious and historical sites, villages, refugee camps, and off-the-beaten track locations – while learning about politics and peace efforts from an expert guide. A must do. Palestinian Oktoberfest (Taybeh, Palestine) - Grab your pint and lederhosen, and sing German folk music under the desert sun. Wait – what? 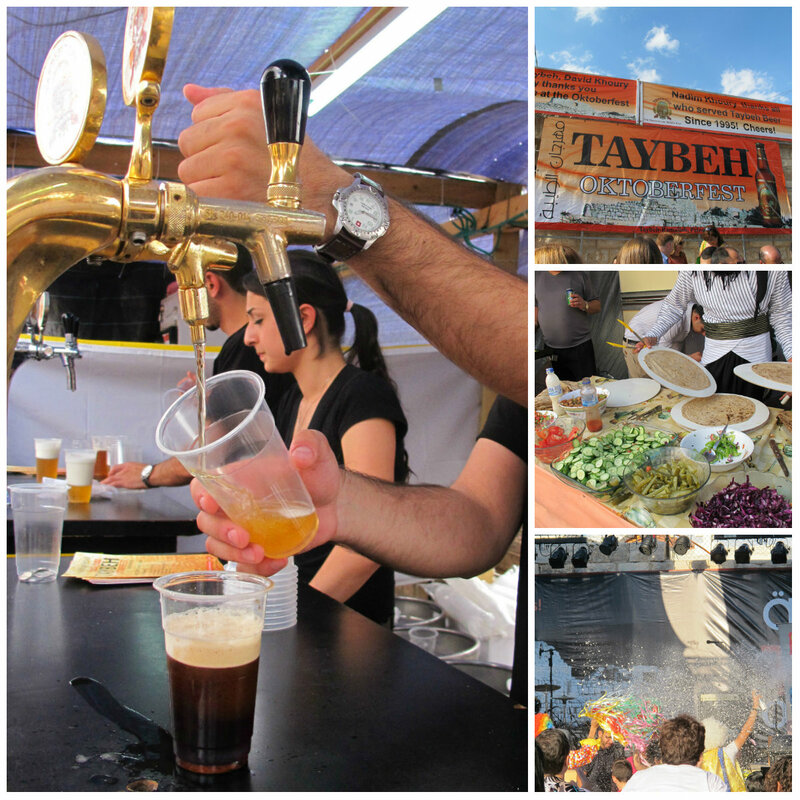 Every year, 10,000 visitors swarm this tiny West Bank town for an Oktoberfest celebration, hosted by the Taybeh Brewing Company. 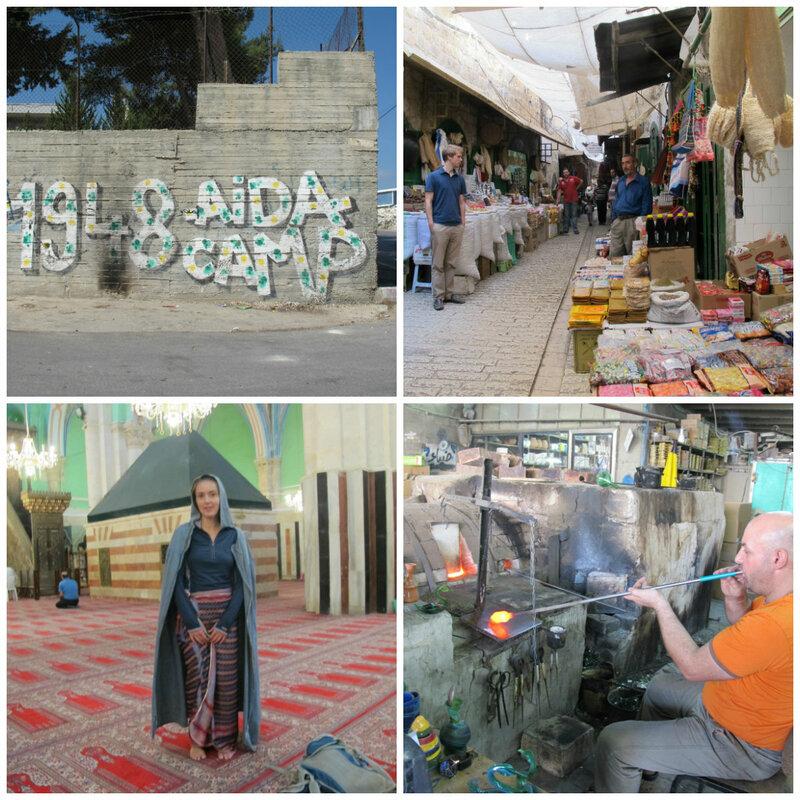 It’s not just about beer either – local residents sell shawarma, falafel, olive oil, soaps, and artisan crafts. If you’re visiting at the right time, this beer bash is not to be missed. Sand and Sun (Tel Aviv) - Relax on white sand and swim in turquoise sea amidst a bustling city. I loved bathing in the warm waters and the sandbar that stretched out into the Mediterranean. It’s worth the $15/day to rent an umbrella and chair from La La Land to get some shade. Walk along the boardwalk to Old Jaffa City – it’s a bit hokey, but has some decent restaurants. 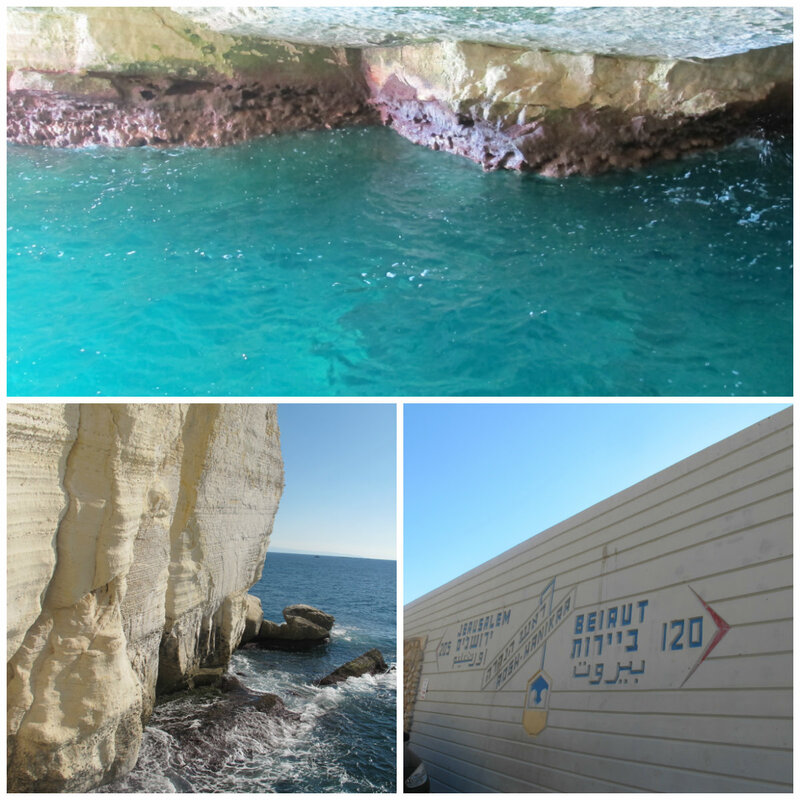 Rosh Hanikra - Travel north to see chalk white cliffs and turquoise waters that shimmer like sapphires. Explore caverns and admire the grottoes – geological formations created over thousands of years by the sea. Then take a picture at the border of Lebanon, only a few metres away. Fun fact: Sacha Baron-Cohen (aka Borat or Ali G) once volunteered on this kibbutz! Yad Vashem (Israel) - No words can describe Israel’s official memorial to the Jewish victims of the Holocaust. Dedicate a full day to visit the Holocaust History Museum, Children's Memorial, the Hall of Remembrance, the Museum of Holocaust Art, as well as sculptures, outdoor commemorative sites and the Righteous Among the Nations. Incredibly moving and a must see for any visitor. Religions and Relics in the Old City Jerusalem - It’s easy to feel overwhelmed with 3,000 years of history at your feet. Get a map or a private guide, and explore the four quarters of the Old City – the Jewish Quarter, the Armenian Quarter, the Christian Quarter, and the Muslim Quarter. 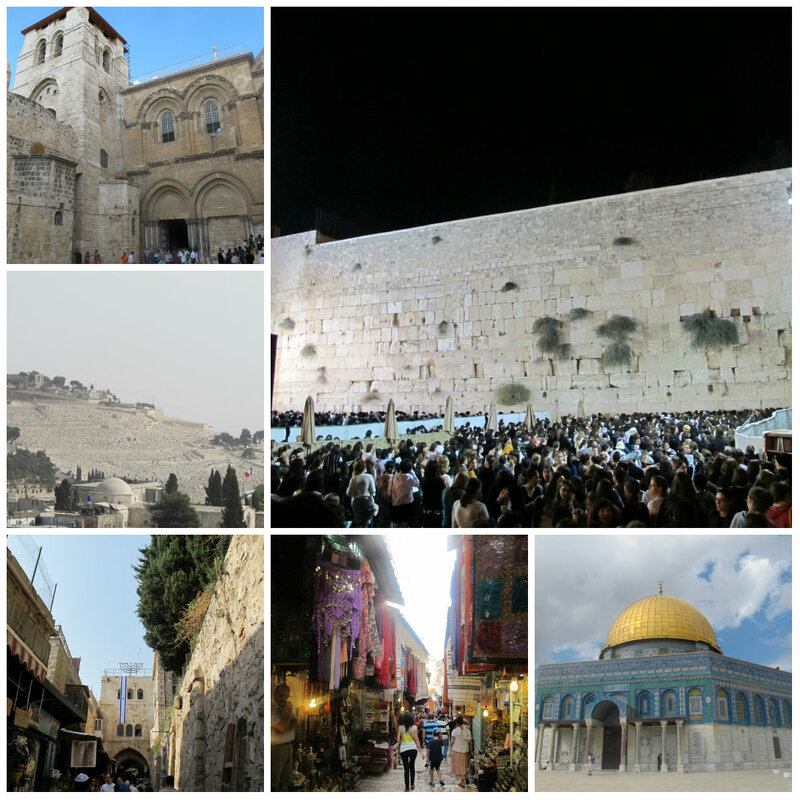 Holy sites not to be missed include: the Western Wall, Church of the Holy Sepulchre, the Dome of the Rock, and al-Aqsa Mosque (above). At mid-day, relax with a coffee or cold drink in the Austrian Hospice’s Garden and then get a fab city view from their rooftop. This is a foodie’s paradise. The cuisine is magnificent and plentiful: feast on warm and chewy pita bread, shawarma that’s piping hot and juicy, and – brace yourselves – falafel served with fries inside the sandwich. 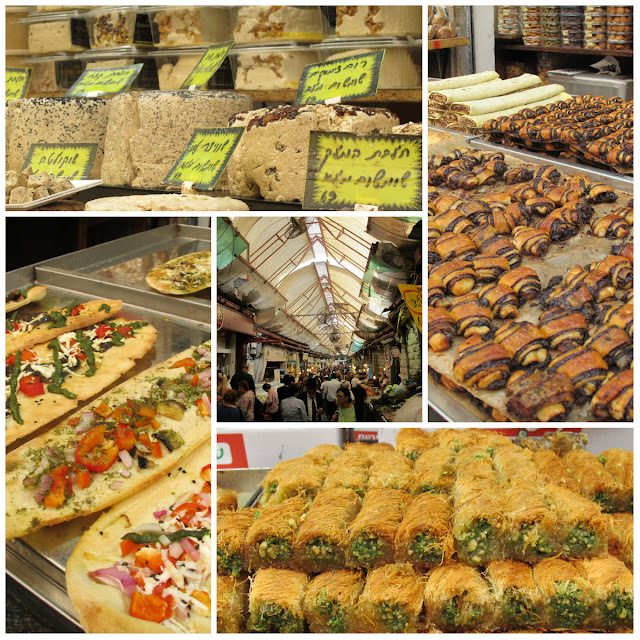 Explore the Mahane Yehuda Market (above) and marvel at the sumptuous spread of fresh fruits, veggies, fish, meat, baked goods, cheese, spices, wines, and liquors. 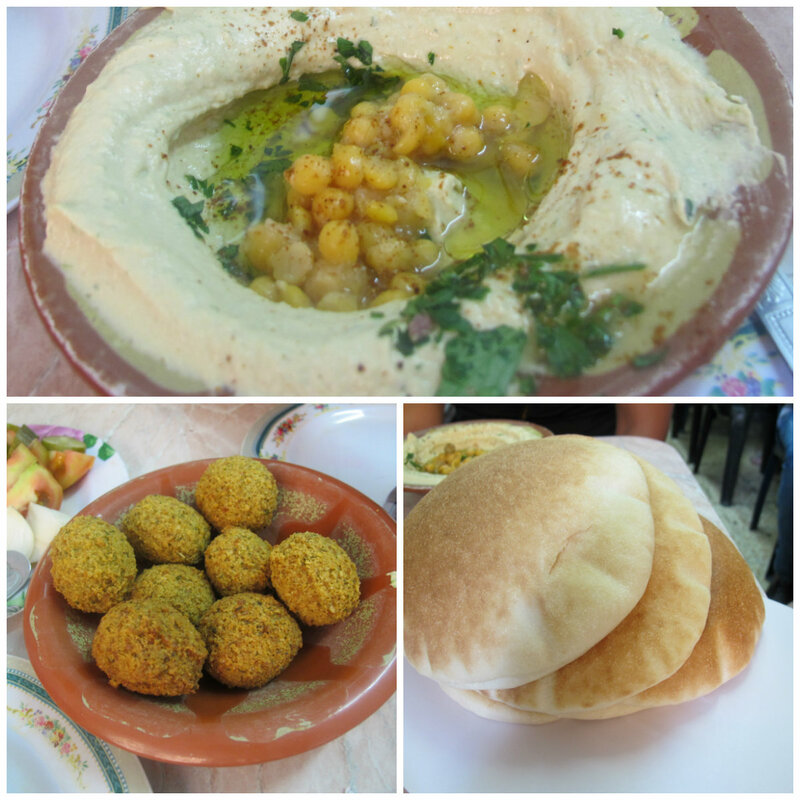 If you’re in the Old City, stop for lunch at Abu Shukri Restaurant near the Fifth Station of the Cross. Order a platter of fresh hummus, tomato, pita bread, and falafel (above). Expect to wait for a table – this resto’s hummus is popular among locals and visitors alike. When I travel, I typically lose weight – but not this time. The sizzle of the grill from the food stands still beckons to me in my dreams! -- Lisa Jackson is a freelance writer and travel junkie. 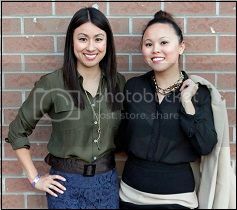 Follow her on Twitter @lisajtoronto. These places are really worth visiting. 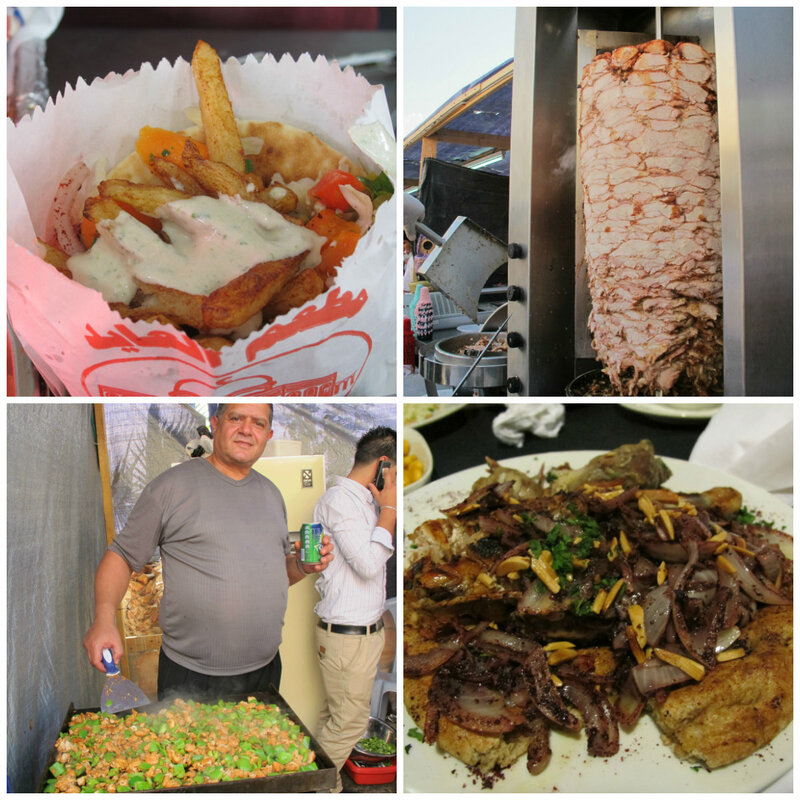 And I love their foods, especially the spicy and juicy shawarma.